Arcade Fire’s biggest fans at the moment may be empty chairs. The Globe and Mail reported that the Canadian rock band is currently struggling to fill the large arenas booked on their itinerary. The report highlighted three shows in particular: Tampa, Florida, along with Austin and Dallas, Texas, where the band performed to around 5,000 people in venues that hold anywhere from 10,000 to 20,000 people. The paper cited a weaker show in Ottawa, Canada earlier on the tour that only brought in 5,739 people. Their 2014 show at the same venue drew a crowd of 9,798. A number of factors could be harming the band’s tour attendance—the poor reception of their last album probably didn’t help—but the weak sales might just reveal another issue in the touring world. Arcade Fire are in an awkward place of being too popular to play in 2,000 to 3,000 seat venues, but they’re perhaps not popular enough to fill out an entire arena. Though, it might lack the appeal of a stadium tour, many acts, including LCD Soundsystem, Lana Del Rey, and Run the Jewels, have performed multi-night residencies at smaller venues, where they can play packed, sold out shows without having to play to thousands of empty seats. Just a thought. 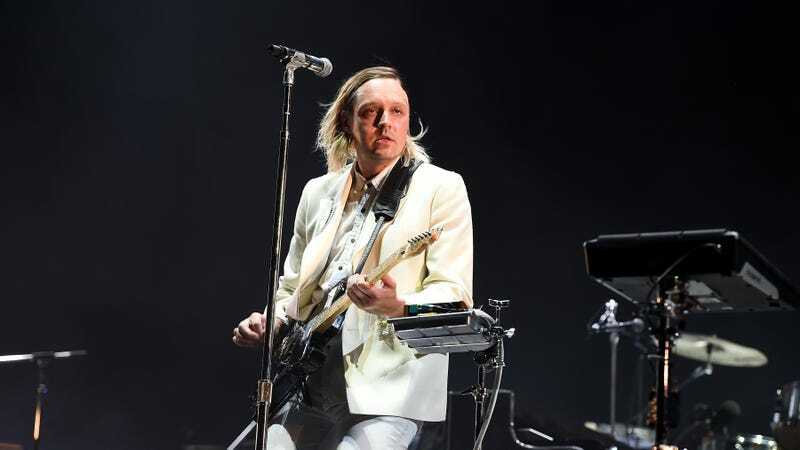 According to the Globe and Mail, frontman Win Butler even joked about this fact during the band’s Vancouver show: “We’ve played cities three times as big with half as many people, so this is really a thing of beauty for us.” The paper reports the band is drawing larger crowds in Canadian and other American cities, so maybe the South just got tired of Arcade Fire.